Jason Derulo has announced his biggest UK tour to date, bringing it to Glasgow’s Hydro Arena for one night in January 2016! Jason Derulo has celebrated scoring his fourth UK number one single by announcing his biggest arena tour to date. The R&B icon will be playing one night in Glasgow’s Hydro Arena on the 29th of January 2016! 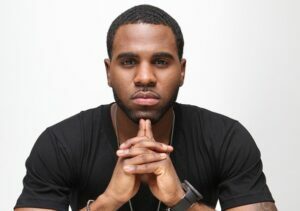 Derulo’s latest single ‘Want to Want Me’ became his latest UK chart-topper on Sunday (May 31). It follows previous number ones ‘In My Head’ (2010), ‘Don’t Wanna Go Home’ (2011) and ‘Talk Dirty’ (2013). Derulo began his career when he was just 16, producing records and writing songs for several artists including Diddy, Lil Wayne, Sean Kingston and Cassie. He was signed to Beluga Heights, later Warner Music Group, by age 19. His debut single, ‘Whatcha Say’, was released in 2009 and sold over 5 million digital downloads and reaching no. 1 in the US and New Zealand, and no. 3 in the UK. Since then he has had 8 top 5 UK singles, has won 5 awards and been nominated for many more. The American singer-songwriter has announced that he will play seven arenas in the UK in January and February 2016 in support of his new album Everything Is 4. The tour will kick off at Cardiff’s Motorpoint Arena on the 24th of January, before visiting Glasgow on the 29th of January, Birmingham, Bournemouth, Brighton, Manchester and London, thrilling fans with songs across his four studio albums to date. Make sure you get your tickets soon – Derulo is in high demand!